RR, T Target creature you control is unblockable this turn. 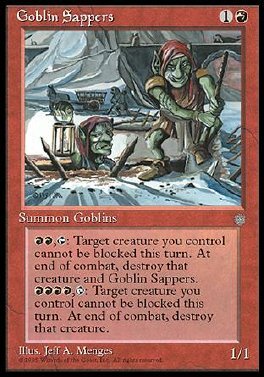 Destroy it and Goblin Sappers at end of combat. RRRR, T Target creature you control is unblockable this turn. Destroy it at end of combat.